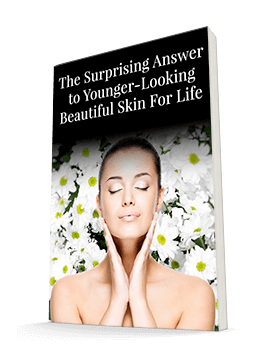 As you know, the skin is the body's largest organ and it absorbs just about everything we apply to it. In response to the many warnings we hear these days about skin cancer and UV damage, men and women are slathering on more sunscreen than ever. The problem, according to research presented at the Endocrine Society's 98th annual meeting, is that when these sunscreens are chemically based, those chemicals don't just stay on the skin. They're absorbed into the body, where they can cause a number of problems. Unfortunately, one of these problems has to do with sperm function. Sperm rely on a process called calcium signaling that involves changes in the concentration of calcium ions within the sperm cells. One of these calcium ion channels, called CatSper, is essential for male fertility because it's the main receptor for progesterone, which causes an influx of calcium ions into the sperm cell to help it fertilize the egg. Researchers at the University of Copenhagen and Copenhagen University Hospital tested 29 of the 31 UV filters that can currently be included in sunscreens sold in the U.S. and EU. They tested them on live, healthy sperm cells from a number of healthy donors. They found that 13 (45%) of the 29 filters also caused calcium ion influxes into the sperm cell. What’s more, 9 of these 13 directly affected the CatSper channel, imitating progesterone. This interference can affect a number of the sperm’s functions, including motility, thereby decreasing fertility. Of the 13 filters that affected the CatSper channel, eight are approved for sale in the U.S.: avobenzone, homosalate, meradimate, octisalate (or octyl salicylate), octinoxate (or octyl methoxycinnamate), octocrylene, oxybenzone (or benzophenone-3 or BP-3), and padimate O. Whether you're male or female, hope to conceive or prefer to remain childless, it's best to avoid products that contain chemicals known to disrupt the endocrine system. Check product labels carefully, as these chemicals lurk not just in sunscreens but in makeup, moisturizers, and lip balms too. For sun protection, choose products that feature a physical block of UV rays, such as zinc, rather than a chemical block that soaks into the skin.